Martin has never believed that the best way to help the homeless or make homes affordable was to build all over the countryside. So he has always strongly supported campaigns to protect treasured green spaces around Cheltenham. In opposition he developed a policy for the Liberal Democrats which was then implemented by the coalition government as the Local Green Space designation now being used to protect green spaces in Leckhampton and across Cheltenham. It provides protection for local green spaces not for their landscape value or scientific importance but simply because they are important to local people – providing free recreation and quiet enjoyment, growing local food, improving physical and mental health and absorbing both CO2 and dangerous particulate pollution. Martin strongly welcomed the coalition government’s decision to scrap Labour’s centrally-driven Regional Spatial Strategies and return powers over housing and development to local communities. As Cheltenham, Gloucester and Tewkesbury councils then worked together to develop their own Joint Core Strategy, Martin consistently lobbied for enough housing for local people in need but not the tens of thousands required by a strategy based on economic growth regardless of environmental consequences. In particular he lobbied hard against the loss of precious green spaces at Leckhampton, Chargrove and Springbank. This was made difficult because neighbouring councillors like Tewkesbury Conservative councillor Derek Davies condemned Cheltenham’s LibDem councillors as ‘greedy’ and ‘precious’ for trying to protect Leckhampton and regularly blocked moves by Cheltenham to protect key green spaces. 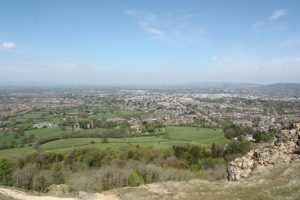 In the end the JCS ruled out a huge ‘strategic’ development at Leckhampton, reducing the likely housing there from over a thousand houses to a couple of hundred and with most of the green fields permanently protected. Martin’s father, Don Horwood, was one of the founders of the Leckhampton Green Land Action Group (LEGLAG) and Martin joined at an early age. When he returned to Leckhampton with his own family and his children began attending local schools and nurseries the need to protect a green, safe and healthy local area for the future became even more personal. Thousands of communities nationwide are now using a policy devised by Martin to protect threatened green spaces in and around their cities, towns and villages. The new Local Green Space designation is designed to protect local green areas valued by local people – not just great crested newts and landscape painters. Cheltenham’s LibDem council is pursuing the policy enthusiastically and the new designation is being recommended in the emerging Local Plan for the Leckhampton Fields, Greatfield Park and Holmer Park in Hatherley, Newcourt Green on the Cirencester Road and many more. Martin developed the policy as an opposition environment spokesperson for the Lib Dems. It was picked up in the Lib Dems 2010 election manifesto and implemented, as promised, by the coalition government. In Leckhampton, there is a striking contrast between the Cheltenham side of the borough boundary where housing development has been refused pending the protection of the most important green spaces in the Local Plan using the new Local Green Space designation, and the Tewkesbury side of the boundary – across Farm Lane – where the Conservative-led council caved in to developers Redrow who pre-empted the local joint planning process and have ripped up historic hedgerows and wrecked views from the AONB in their rush to build expensive executive homes. Martin believes more homes should be built on brownfield sites and in mixed use developments like St.Paul’s, the Brewery and North Place in Cheltenham, in urban city centres in need of regeneration and close to smaller villages and market towns whose shops, post offices, pubs and schools are closing for lack of people. Martin has also called for more action to support rural housing (for instance in and around farms) where it is wanted and needed, tougher measures to bring more of the UK’s 850,000 empty homes back into use and new powers at local level to encourage the buying and building of more social housing for rent which is where the need is greatest. Previous Previous post: Max Wilkinson is Cheltenham’s new champion! Next Next post: Thank you Leckhampton!